Ask most loyal Los Angelenos about the ‘glaring’ lack of professional football in town, and the response you get will be somewhere between ennui and malaise. . .the fact is, we have so much drama, so many storylines, and frankly such good programs (53 NFL players drafted out of USC since 2002, 23 NFL draftees from UCLA) that we really don’t need a squad. The mumbo jumbo about the team in City of Industry is just that – another annual blusterfest by the local ‘magnates’ and wealthy big-shots that are hellbent on stealing a moribund franchise from their loyal fanbase (hint = ), since expansion is most likely going to be international, if at all before the close of this current decade. Lane Kiffin – Currently, the star of the group – stepping right in for Uncle Pete and taking drawing media attention like matter to a Black Hole. A lightning rod nationally, Kiffin is the impetus for destruction & hatred in Knoxville to celebration & recruting coups in Watts. Norm Chow – the phenomenal coordinator (who somehow can’t land a head gig) has been a Guru for quarterbacks has become ingrained in a tug-of-war between Kiffin (who offers more $$$ and a stronger ‘program’) and Neuheisel (who can offer a beautiful campus & coeds, a superior academic institution and less controversy). Rick Neuheisel – The incorrigably brash, kinetically energetic Neuheisel is all of a sudden the Dean of L.A. Football coaches. This morning, he was on The Dan Patrick Show saying his biggest regret about Carroll leaving was that he “wouldn’t get one more shot.” He’s actively pursuing recruits (including his own Norm Chow) and has this season to really dig his heels in and end the Football Monopoly in Los Angeles, OFFICIALLY. Mike Garrett – The Trojans Athletic Director apparently had beef with Carroll prior to the controversy, hardly even speaking to his head coach (and Cash Cow) since the regular season finished. Regardless, he made a shrewd – if not desperate – hire with Kiffin, and this roll of the dice will probably determine his future. My favorite aspect of Garrett is his hubris and sheer reluctance to really speak to the media, kind of reminds you of another USC Heisman winner. 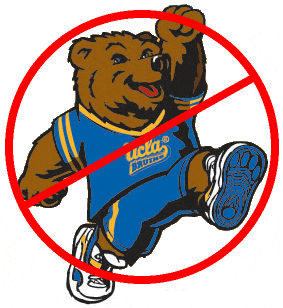 . .
Dan Guerrero – the sharp, austere leader of the Bruin Athletic family, Guerrero has been remarkably quiet throughout. It’s not quite his place to speak up. . .yet. Rest assured, though – shall something happen with Chow, or shall Neuheisel not sustain the forward momentum of the UCLA program, heads WILL roll. Guerrero does not take kindly to mediocrity. Monte Kiffin – can’t fault a supportive father. Also, can’t fault a son that respects his Dad to the extent that he won’t coach without him. Lastly, can’t fault any of Kiffin’s stout defenses. 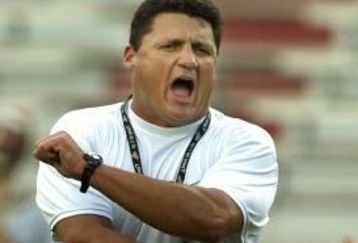 Ed Orgeron – a monster recruiter, word was he hit the phones with Tennessee recruits quite literally the exact second that he left the Tennessee job. A tenacious personality, effective coach and part-time actor, he carries the presence and intimidation factor that USC needs yet again as they try to bully their way through the Pac-10. 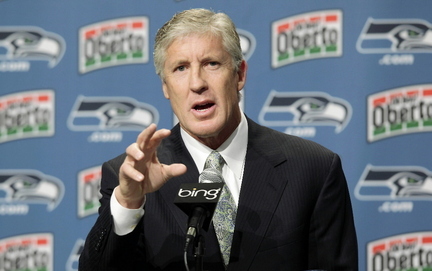 Pete Carroll – and it all comes back to Uncle Pete. 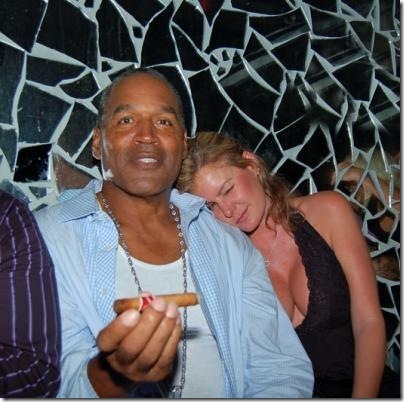 Dynamic, insidious, industrious, vivacious, unflappable, charasmatic and one HELLUVA football coach, this Los Angeles legend Bolted like Usain as soon as he saw Death (Penalty) around the corner. Can’t blame him – the skies of Seattle are gorgeous and the rain is more like mist, and their writers, though strong, tend to take a liking to hometown athletes. The fans are even more supportive. That said, without Pete leaving, none of this takes place and Los Angeles truly is a Trojan Town, frankly as long as Pete wants it to be. . .but alas, the man jump shipped and here we are, with the entire nation talking about L.A. COLLEGE football, right during the professional football Playoffs. Enjoy, L.A. Fans – you are blessed. And you still get the best games on Sundays without being tied to a dubious matchup. said the child who is staring down a future as a multi-millionaire with a career, women, and yes – all the Land Rovers he can dream of. How about a little perspective, Joe? You made a bad decision – not driving the car, but not being honest about it – and you need to live with the consequences. So what, you’re not playing in the Emerald Bowl? Get over it, it’s hopefully not the most important game you’re going to play in. . .I mean, even UCLA has a Bowl Game that’s more prestigious than yours. . .
As usual, Sam Farmer takes a great angle in today’s Times. 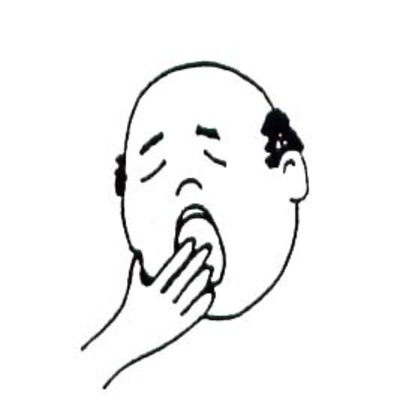 I wish I could have the accompanying graphic, but the folks at the Times didn’t convert the file into pdf to scan in. I mean, it’s only 2009 so who needs technology, right? Either way, see below for Farmers picks of the best players in the NFL from USC & UCLA at their respective positions. Backfield: There are four USC quarterbacks in the NFL, and Cincinnati’s Carson Palmer (first in 2003), Arizona’s Matt Leinart (10th in 2006) and the New York Jets’ Mark Sanchez (fifth in 2009) were top-10 draft picks. UCLA’s Maurice Jones-Drew was overshadowed by USC’s Reggie Bush in college, but he now leads the league with 13 rushing touchdowns. Line: There are two tackles, two guards and a center in the league — all Trojans. Receivers: The tight ends include something old (USC’s Billy Miller of Houston, a 10-year veteran), something new (USC’s Fred Davis, in his second year with Washington), something borrowed (UCLA’s Spencer Havner of Green Bay, a converted linebacker) and something blue (Bruins blue — Marcedes Lewis of Jacksonville). Out wide the choices are fewer. USC’s Steve Smith is Eli Manning’s favorite target, with 65 catches and five touchdowns for the New York Giants. USC’s Dwayne Jarrett (Carolina) is in his third pro season and hasn’t scored a touchdown. Kicker: Last season, Dallas didn’t have a touchback. With USC’s David Buehler handling kickoffs, it has 17. Line: Four USC products anchor the interior of NFL defenses as starters — Sedrick Ellis (New Orleans), Mike Patterson (Philadelphia), LaJuan Ramsey (St. Louis) and Shaun Cody (Houston). UCLA’s Kenyon Coleman (Cleveland) gets the nod at end, opposite USC’s Lawrence Jackson, who has four sacks for Seattle. Linebacker: Brian Cushing (Houston), Rey Maualuga (Cincinnati) and Clay Matthews (Green Bay) were starters at USC a year ago, as was Kaluka Maiava, who is playing a major role in Cleveland. USC’s Lofa Tatupu is Seattle’s best defensive player, but he is injured. Former Trojans star Junior Seau is back with New England. Secondary: USC’s Troy Polamalu is having an injury-plagued season, but he will wind up in Canton. Terrell Thomas, another former Trojan, has three interceptions for the Giants. UCLA’s Chris Horton has 37 tackles and a forced fumble for the Redskins, and former Bruin Matt Ware has an interception and a forced fumble for Arizona. Punter: UCLA’s Chris Kluwe (Minnesota) has punted for a net average of 38.4 yards. In addition, Farmer has another excellent piece on Bruin & Trojan Hall of Famers. . .and those who will be. USC: Marcus Allen, Morris (Red) Badgro, Frank Gifford, Ronnie Lott, Ron Mix, Anthony Munoz, O.J. Simpson, Lynn Swann, Willie Wood, Ron Yary, Bruce Matthews. UCLA: Troy Aikman, Tom Fears, Jim Johnson, Bob Waterfield. Junior Seau: Prototype for modern linebacker, member of the NFL’s All-Decade team for 1990s. Carson Palmer: Heisman Trophy winner is the centerpiece for turnaround of Cincinnati Bengals. Willie McGinest: A defensive cornerstone of New England’s three Super Bowl champions. Troy Polamalu: Pittsburgh’s mane man is widely regarded among the NFL’s best defenders. Tony Boselli: First-ever pick of the expansion Jacksonville Jaguars and the expansion Houston Texans. Keyshawn Johnson: One of two receivers taken with the No. 1 pick in the NFL’s modern era. Don Mosebar: All-Pro anchor of the Raiders offensive line was just the third center in franchise history. Jack Del Rio: Spent 11 years as an NFL linebacker for five teams and now is coach at Jacksonville. Joey Browner: Minnesota Vikings safety was selected to six Pro Bowls. Jonathan Ogden: Baltimore left tackle was a nine-time All-Pro and 11-time Pro Bowler. Carnell Lake: Star safety finished his career with 25 sacks, 33 takeaways and five touchdowns. Ken Norton Jr.: Linebacker won three consecutive Super Bowls — two with Dallas, one with San Francisco. Kenny Easley: Seattle safety was 1983 defensive player of the year and is on NFL’s All-Decade team for 1980s. Maurice Jones-Drew: Jacksonville’s bowling-ball back currently leads NFL with 13 rushing touchdowns. Donnie Edwards: Fourth-round pick of Kansas City intercepted 28 passes, four shy of NFL record for linebackers. Don Rogers: 1984 defensive rookie of the year showed spectacular promise before his untimely death. Freeman McNeil: Remarkably consistent tailback averaged at least 4.0 yards a carry in each of his 12 seasons. Max Montoya: Four-time Pro Bowl guard for Cincinnati and Raiders played in both Bengals’ Super Bowls.